1. 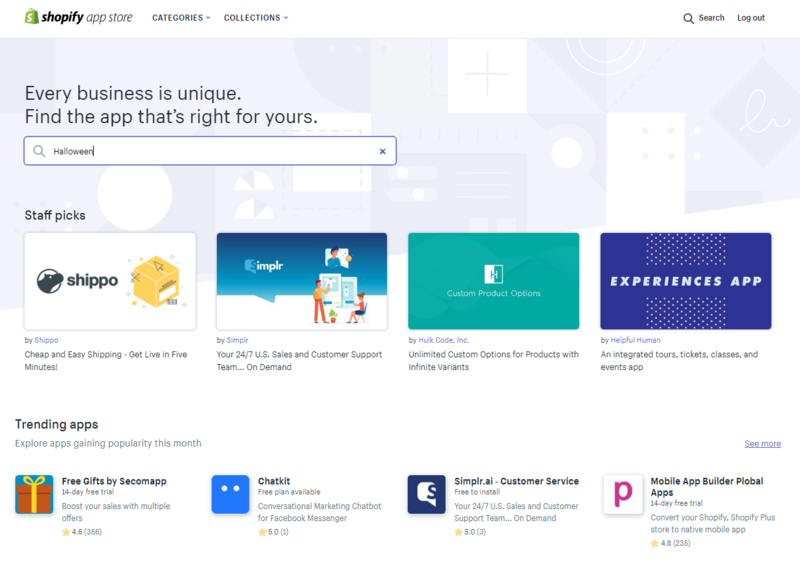 Navigate to the Apps tab in your Shopify page and select Visit Shopify App Store. 2. Your browser will redirect you to the Shopify App Store. In the App Store search for "Halloween" and hit enter. 3. 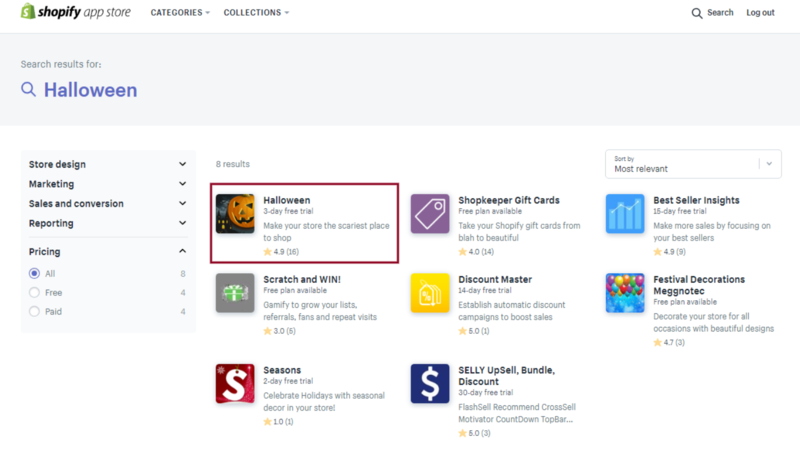 From the search results select the Halloween app. 4. 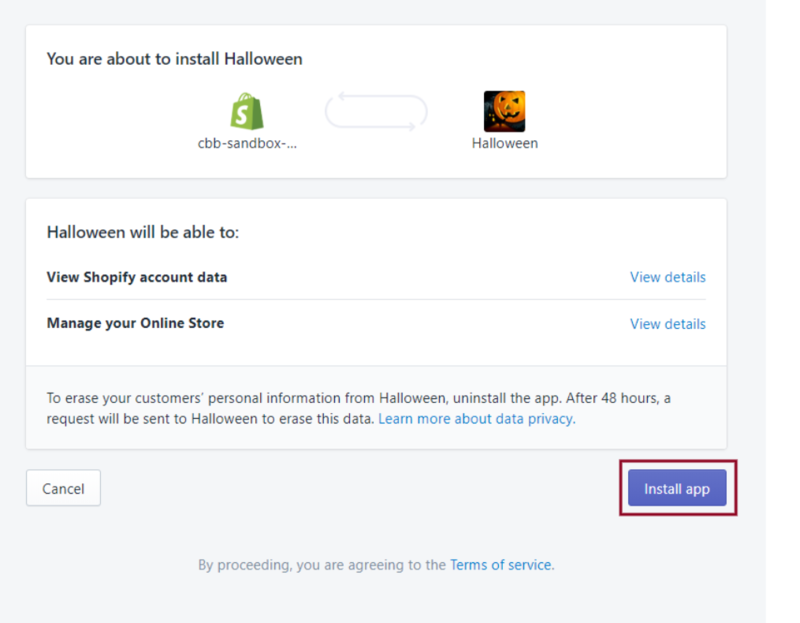 You will be landed in the Halloween app listing. Now click on the Add app. 5. Now you will get the screen bellow. 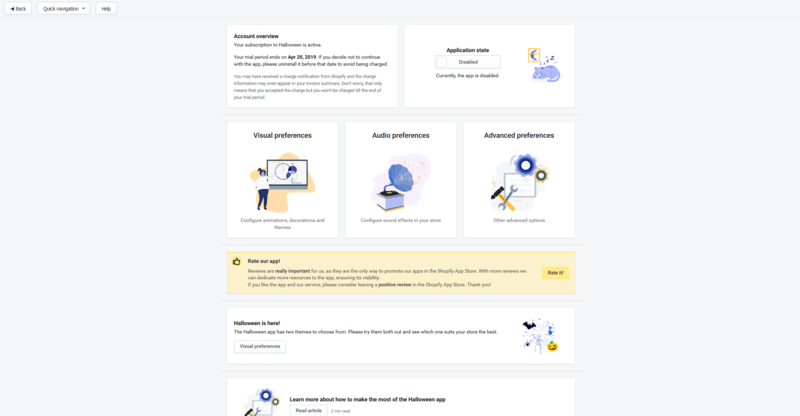 Select Install app. 6. Congrats! 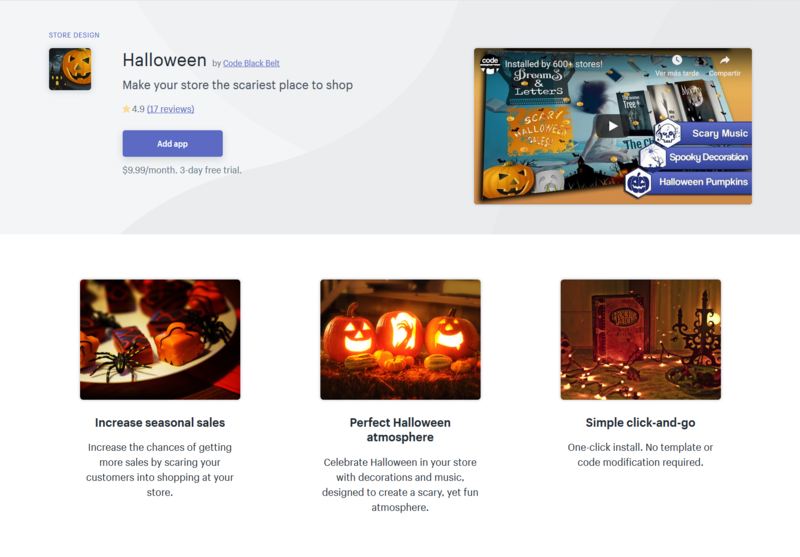 You now have Halloween installed in your store. 7. 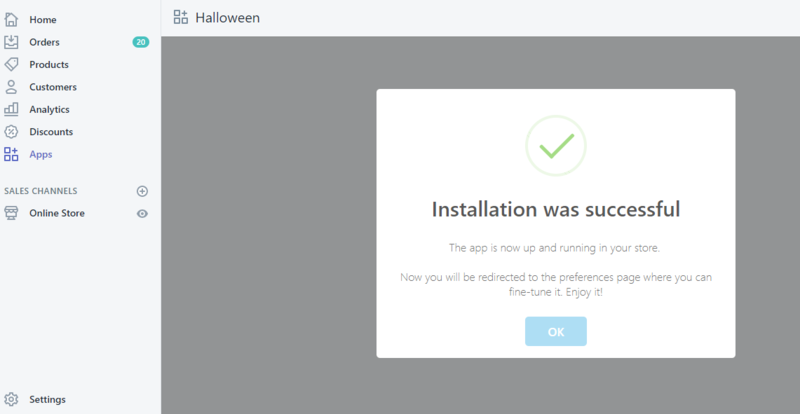 After installation the preferences page of Halloween will be opened where you can configure the app in your preferred way. 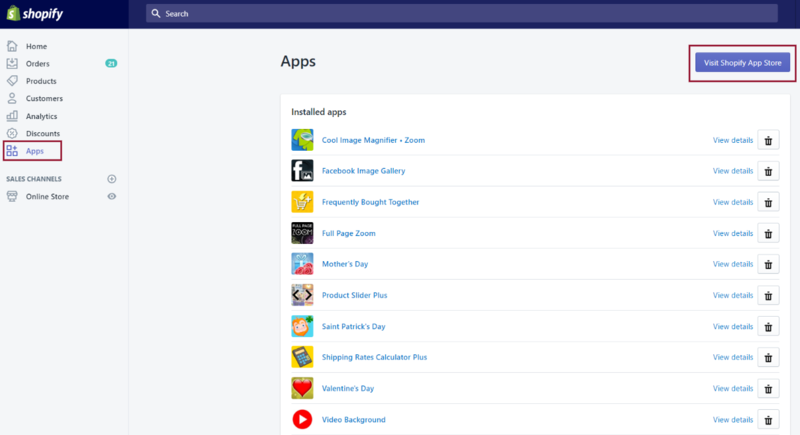 The app will be listed in the Apps section on your Shopify admin.